Have any of you prayed for something for what seems to be far too long? Are you like me, and after a while your prayers tend to lose their earnestness or they stop completely? This was the spot I once found myself in. One night, I was just being honest with God as I was praying. I said to God, “Just listen; it hurts to keep praying this prayer, not ever knowing if you will answer me.” It seemed like I had prayed these prayers for so long and nothing happened. So that night, I was just having a conversation with God getting all of my feelings out. You can go to God with your disappointments and discouragements; He is a safe place! What got me to the place I was in? I was discouraged, and that was when the negative thoughts began filling my mind. Things like, “Why do I keep praying for this?”, “It’s never going to happen,” and “Why would it happen to me? I don’t deserve it.” Even though some of these thoughts might feel true to me, they aren’t true to my Heavenly Father. God reminded me of a few things in that moment. He never ceases to amaze me. These were things that I to be needed reminded of. God is the God of hope. We should pray without ceasing. Any wrongs I have done in the past have been forgiven. They have been thrown into the sea of forgetfulness, so there are no wrongs being held against me. Friends, God might not answer some of our prayers in the way we want or in our time frame. Don’t allow discouragement to get you to a place of hopelessness. We need to keep our hope alive! 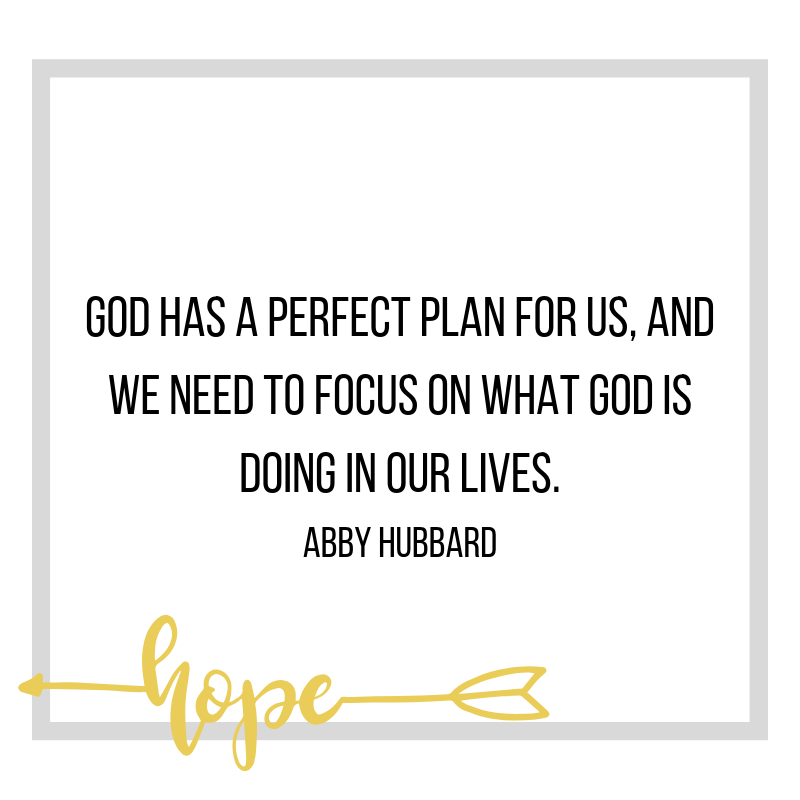 God has a perfect plan for us, and we need to focus on what God is doing in our lives. We need to choose to keep our eyes and thoughts fixed on Him. Why? Because God is our God of hope. God cares for us. We can pray without ceasing, and God has forgiven us! 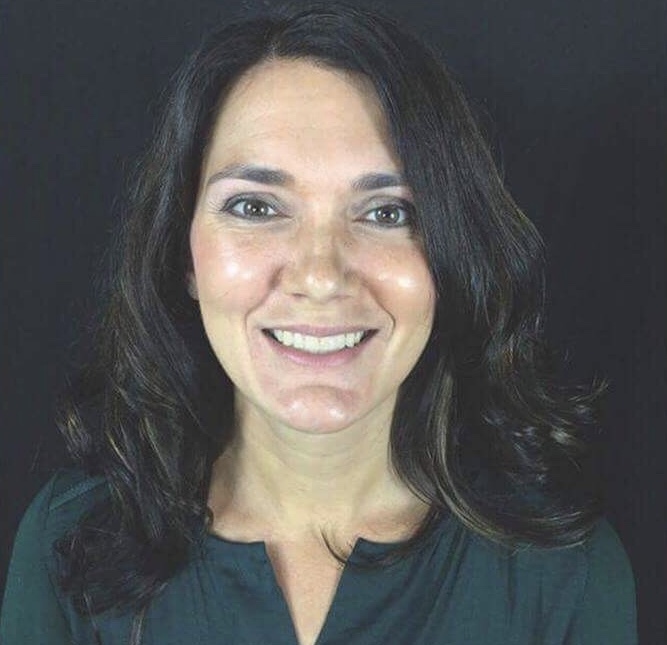 Abby Hubbard has served as the leader of GLOW Women’s Ministry at Mansfield First Assembly since 2012. She is married to Jason and the mother of two children, Bryce & Sarah. 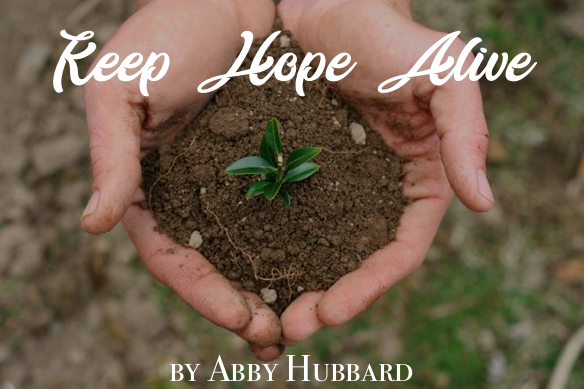 You can connect with Abby at http://stillfindingpeace.blogspot.com.